Request "Enough of No Love"
Welcome to the temporary request site of "Enough of No Love". Request are especially important on Rhythmic, Urban, and Urban AC radio. 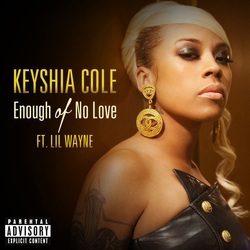 *As of September 20, 2012, Enough of No Love is #7 on Billboard's R&B/Hip-Hop Songs Chart as well as #84 on their Hot 100 and #23 on their Ringtones Chart. KEEP REQUESTING! Be sure to purchase on iTunes! Watch the video on VEVO!